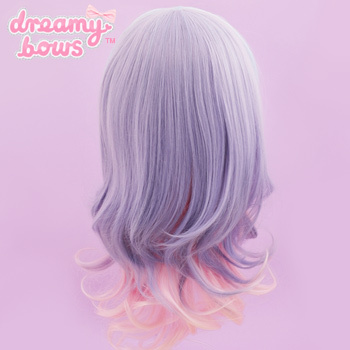 This quirky medium length wig is the perfect feature to add to any kawaii outfit, with an exciting twist on the average wig, this cool coloured wig has waves of candy floss pink running underneath, a cute blue fringe and striking purple as the main colour for that super cute fashion forward Harajuku style. 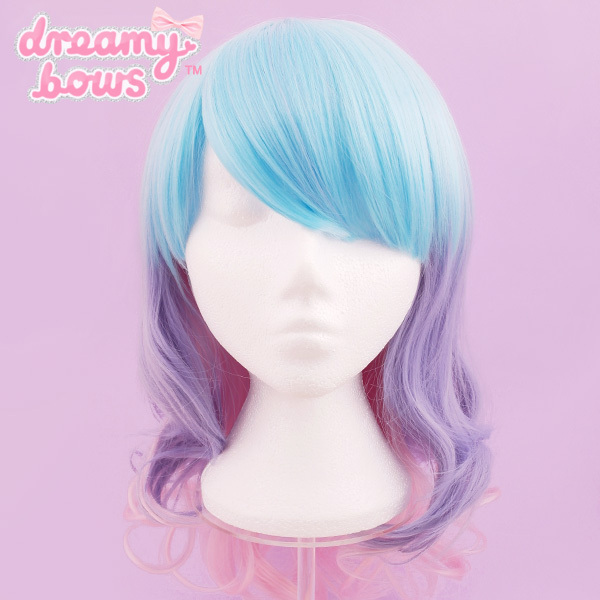 This wig can be worn with many different J-Fashion styles, enhancing your cuteness with every hair swish! When not worn, store wigs on wig heads, or in their bags to keep neat. We recommend brushing your wig with a wig comb or tangle teaser. 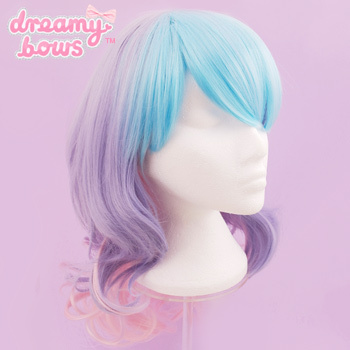 Wig can be washed in cool water with wig shampoo and then hung dry. Do not brush your wig when wet. Not heat resistant. Approximate length measured at the longest section.